!! OMG, nom nom nom: The 2012 Emmy Nominations are in !! Maggie Smith for the win! 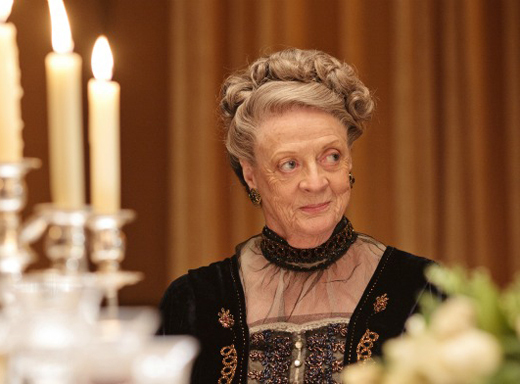 As the third season of Masterpiece’s Downton Abbey will reportedly be Dame Smith’s last playing the whip-tongued Countess, this year’s Primetime Emmy Awards will be the next-to-last chance for the actress to take home a statue. Let’s not waste any time, Emmy voters! See the year’s major noms after the jump! 2 Comments on "OMG, nom nom nom: The 2012 Emmy Nominations are in"
She actually already HAS been Emmy’ed for that role. She won Best Supporting Actress in a Miniseries or TV Movie last year. And, I don’t know – up against Panjabi, Gunn, Hendricks and Baranski… pretty tough competition! Reality TV and Reality Host has NO place being considered for Emmy’s. Please wake up and take these awards as serious recognition for genuine acting skills.